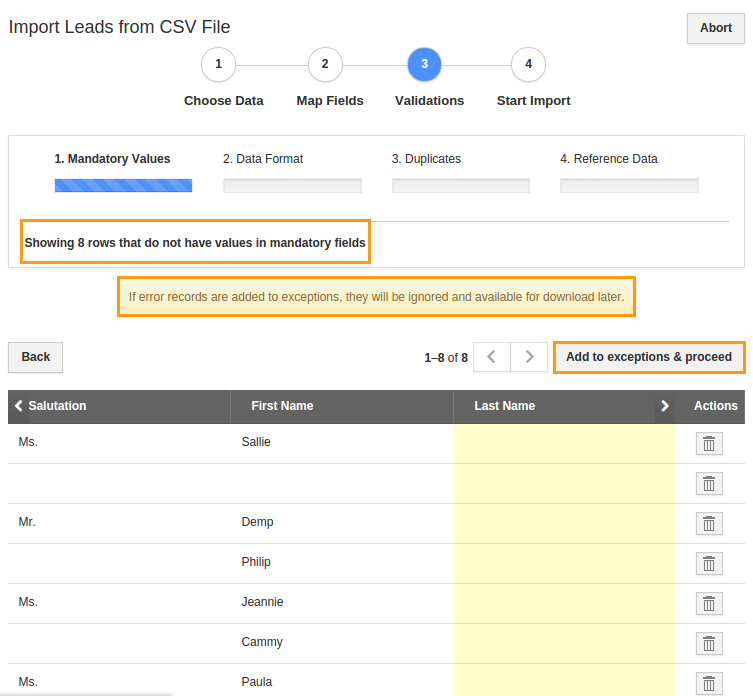 How do I Import Customers, Contacts, and Leads from a CSV? 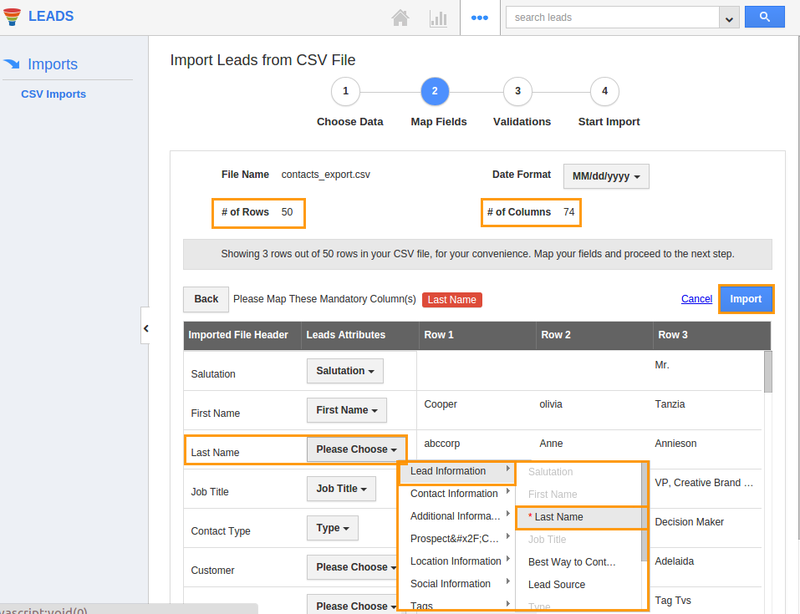 Importing data from CSV is a feature that is available in Apptivo Apps such as Contacts, Customers, Opportunities and Leads. 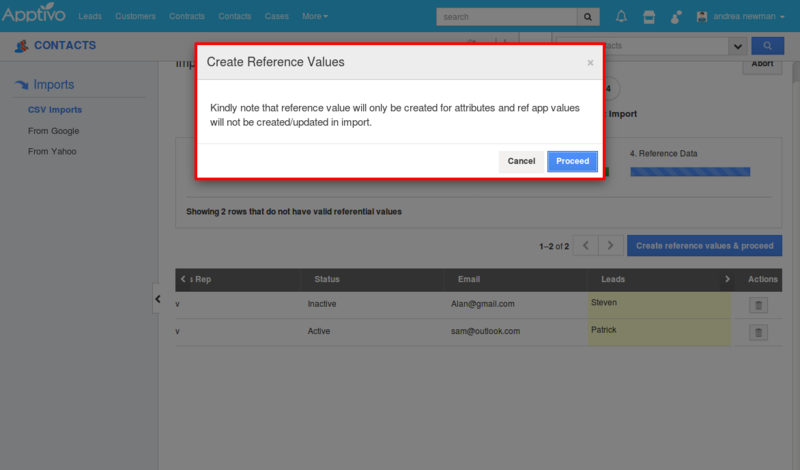 This feature allows you to import mass information into the system. Although it takes little effort to learn, each of these applications will work the same. For example, we'll use the Leads App. The same process will apply all other apps. Let's quickly go through the steps. Click on "More" icon and select the “Import” icon located at the app header bar. Map customer fields to respective CSV fields as shown in the below instance. Make sure to map the custom mandatory fields. 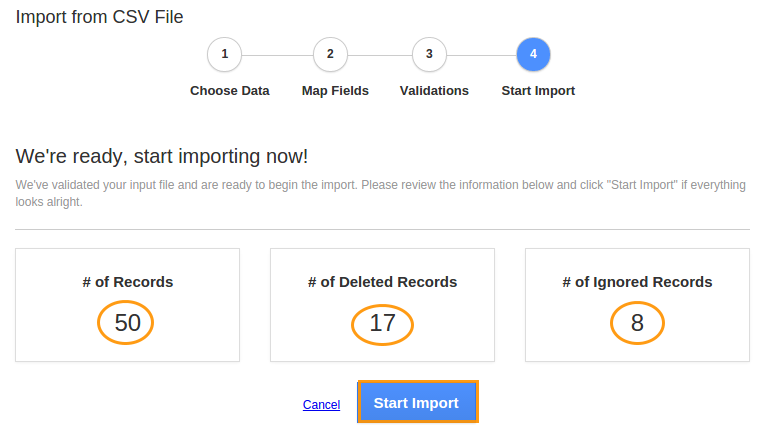 After mapping the all fields as shown in the below instance hit the "Import" button to import records. Click on the "Proceed" button for each step. 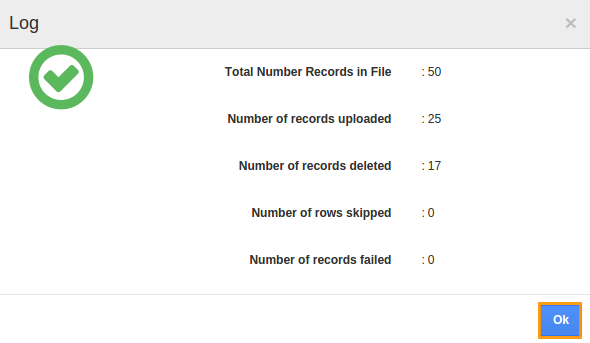 Now you can view the total number of records, number of deleted records and number of ignored records. Click on the "Start Import" button. The records will be imported, where you'll have to go to the specific record Overview page and enter the Ref App values manually.